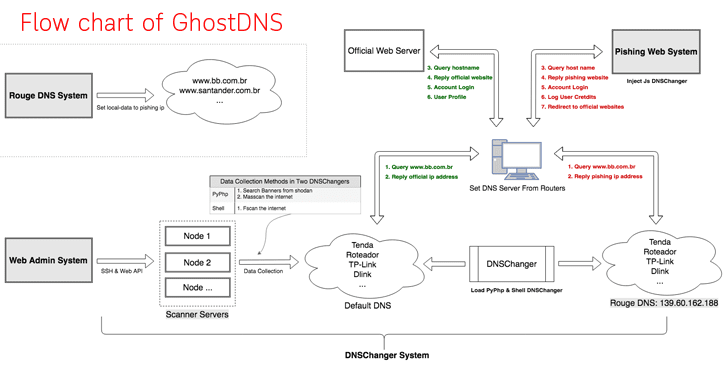 Dubbed GhostDNS, the campaign has many similarities with the infamous DNSChanger malwarethat works by changing DNS server settings on an infected device, allowing attackers to route the users’ internet traffic through malicious servers and steal sensitive data. 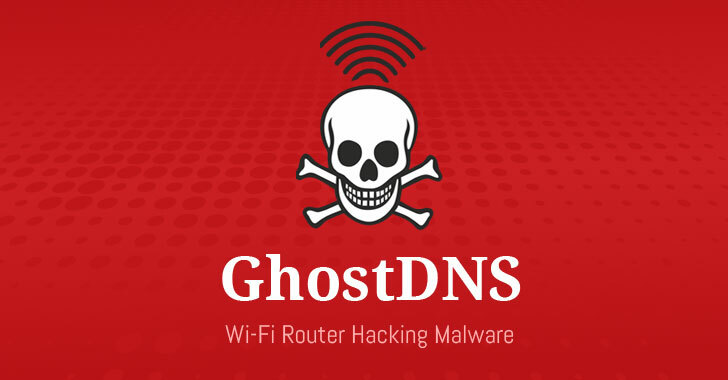 According to a new report from cybersecurity firm Qihoo 360’s NetLab, just like the regular DNSChanger campaign, GhostDNS scans for the IP addresses for routers that use weak or no password at all, accesses the routers’ settings, and then changes the router’s default DNS address to the one controlled by the attackers. “Its functional structure is mainly divided into scanners, payload generators, and attack programs. The Js DNSChanger program is usually injected into phishing websites, so it works together with the Phishing Web System,” the researchers say. “We have no access to the Rouge DNS server, so we can’t say for sure how many DNS names have been hijacked, but by querying both Alexa Top1M and our DNSMon’s Top1M domains against the rogue DNS server (139.60.162.188), we were able to find a total of 52 domains being hijacked,” NetLab researchers say. 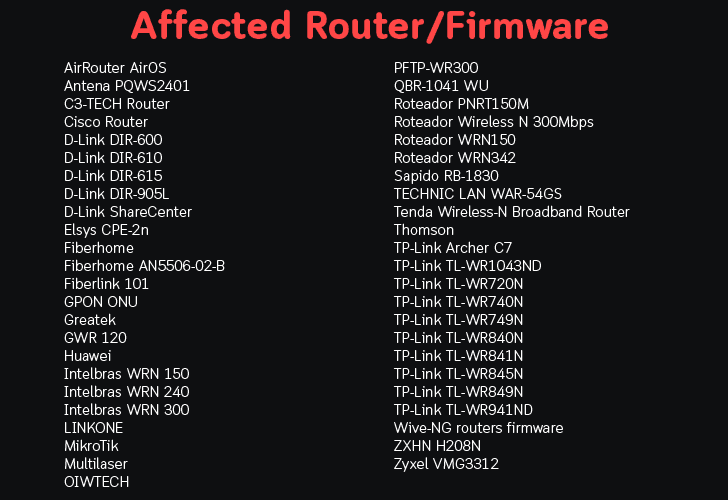 “Currently the campaign mainly focuses on Brazil, we have counted 100k+ infected router IP addresses (87.8% located in Brazil), and 70+ router/firmware have been involved, and 50+ domain names such as some big banks in brazil , even Netflix, Citibank.br have been hijacked to steal the corresponding website login credentials,” the researchers say.